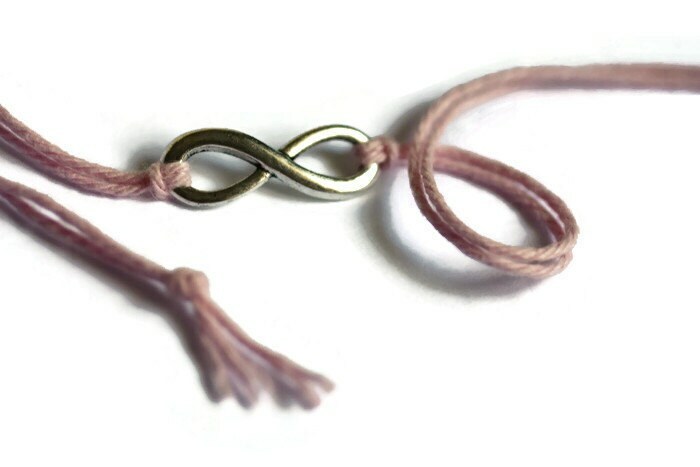 A tiny silver infinity charm tied with any color 100% cotton twine that you wish makes the perfect little accessory for your wrist or ankle. There is no clasp, as it is meant to be tied on. These sweet Trinkets are dainty and charming whether you wear them alone or combined and stacked with several others.